Gas stoves have been around for years, and people like to enjoy the open flame and cook meals over it. But quite recently electric stove started to become more common. Both have their own advantages and disadvantages. There is no possible way to figure it out which one is better over which, you can figure it out on your own. In my opinion, both work equally fine, it’s just a matter of priorities that some people prefer one on another. If you are looking for a new stove and cannot decide between gas and electric stove, here are some advantages of the electric stove that will definitely help you in making this decision. I have not met a single person, who does not like saving up money. Especially, if you are redoing the kitchen, you must be out of a lot of a lot of cash. So, an electric stove is much better than the gas stove when it comes to the expenditure. If the gas lines are already installed in the kitchen, then it might cost you the same, otherwise getting the gas connection, installing the gas pipes and all, can cost you a lot. Also, the prices of the electric stove itself are quite low as compared to the gas ones. Again, some of the models are expensive than the other, but if you are not able to pay a high price, there is a large collection available for that too. Keeping the kitchen clean all the time can be tough at times because it is one place that is being used almost all the time. Plus, the heat and smoke can make the walls and cabinets dirty in quite short amount of time. But the toughest thing to keep clean all the time is the stove. If you accidentally drop anything on it, it will dry out fast, and then you will spend the next hour, scrubbing and cleaning it. The electric stove comes quite handy in such condition. As they are designed in a simple way, their cleaning is simple as well. It will take about a minute to clean everything up. Sometimes in gas stoves, if the pressure of the gas is not even, it will affect the flame as well. If the flame is not even, the food will be undone from one side and overcooked on the other. Electric stoves eradicate such problems. They tend to heat the pot evenly from all sides. If you are one of those people who like to take care of the environment, then this is something that you would like. Electric stoves are more ecofriendly. Also, they tend to consume much less energy as compared to the gas ones. So, if you are worried about the earth running out of natural energy resources, there is on less thing to worry about. If you want to buy the best electric stove, you can google electric cooktop reviews. Even the gas stove users agree on this point that electric stoves are safer as compared to the gas ones. With the gas stove, there are more chances that you can get caught on fire. Plus, you have got to be extra careful all the times, as in the case of a small gas leak, the whole house can get burnt down. If you have kids in the house, you need to keep them in check too, all the time. A little carelessness can lead to a disaster. 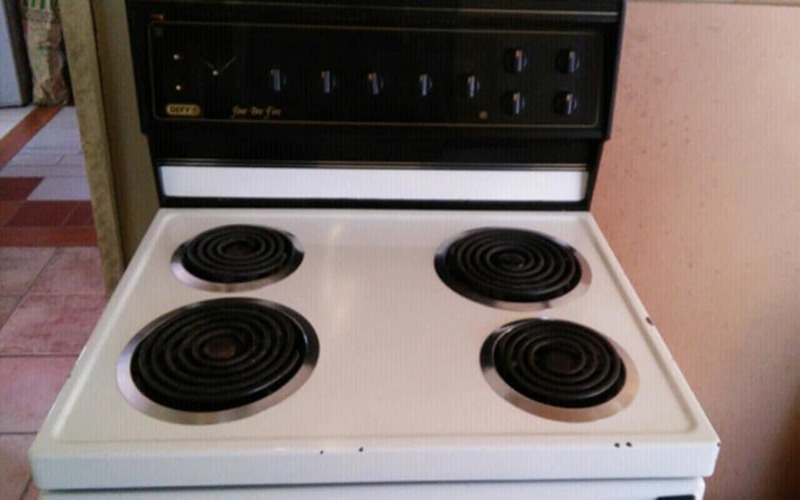 There is no such problem with the electric stove. It only heats up the area, which is touching it, leaving the rest safe to touch.